The First World War claimed the lives of thousands of Canadians who were called upon to do extraordinary things during times of military conflict, among them John McCrae, who penned the famous poem In Flanders Fields. But how much do Canadians know about this exceptional Canadian whose 15 lines of poetry have made the poppy inseparable from memories of war? On Friday 11 November as you pause to remember the fallen, we hope this Quiz will remind you of the significance of McCrae, his poem and thousands of other Canadians who have lost their lives to war. 1. Where was John McCrae born? A: b) Guelph in 1872, where a museum commemorating his life and work is located. 2. In McCrae’s poem ``In Flanders Fields,’’ who or what is Flanders? A: d) Flanders is the northern Dutch speaking part of Belgium. Flanders Fields refers to the battlefields where some of the heaviest fighting took place during the First World War. Flanders derives from the old-German word Flaumandrum — flaum meaning flooded land and andrum meaning farmlands, says a spokesperson for Tourism Flanders-Brussels. A: a) England’s Punch magazine in December, 1915. 4. John McCrae had several occupations in addition to his career as a soldier. Which of the following did he NOT work at? 5. When did McCrae start writing poetry? 6. What significant role did Alexis Helmer play in John McCrae’s life? a) he was a friend whose death during a battle in the spring of 1915 inspired McCrae to write In Flanders Fields b) he convinced McCrae to enlist in the military and serve in the First World War c) he was McCrae’s mentor in medical school d) he was McCrae’s commanding officer during the war. A: a) Helmer, a former student at Lisgar Collegiate in Ottawa, was a close friend whose death is believed to have inspired McCrae to write In Flanders Fields. 7. Who or what were Bonfire and Bonneau? a) code names for two battles won by McCrae’s brigade b) Bonfire was his horse; Bonneau was his dog c) the names of hospitals McCrae worked at d) the surnames of McCrae’s favorite poets. A: b) Bonfire was his horse; Bonneau was his dog. 9. Following his death on Jan. 28, 1918, where was John McCrae buried? a) Mount Pleasant cemetery in Toronto b) Wimereux Cemetery, not far from the fields of Flanders c) on the McCrae homestead d) in London, England. A: b) Wimereux Cemetery, not far from the fields of Flanders. 10. How were lines taken from In Flanders Fields used in 1917? a) in ads to attract recruits to the Canadian military b) to advertise Victory Bonds c) in radio broadcasts to dishearten the German army d) in a song popular with Canadian troops fighting in Ypres. A: b) lines from the poem were used in ads that helped the first Victory Loan Bonds raise $400 million for Canada’s war effort. Mark Kearney of London, Ont. 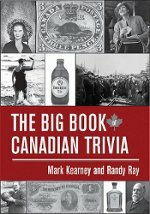 and Randy Ray of Ottawa are the authors of nine books about Canada.